When I first started the #PLONY interviews, I had this notion that, after a while, they’d all start to sound the same. But eight interviews in, I’ve been consistently amazed at how very different these stories are. Sure, there are commonalities that led to success (and there will be recap post on those once I hit ten), but even so, the journeys that led to the places from which these playwrights shine were markedly diverse. 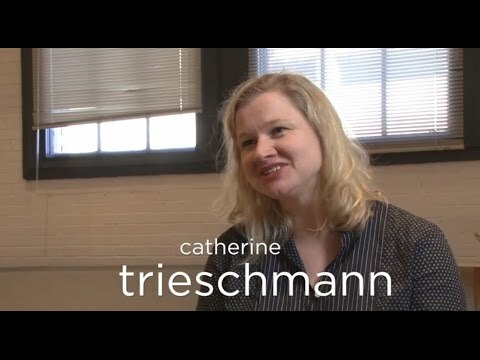 Take Catherine Trieschmann, a playwright who has pursued most of her career from the tiny town of Hays, Kansas. A playwright who lived in New York for three years, but didn’t get a production there until she’d left. A playwright who doesn’t even have a website. If those are odds to overcome, Trieschmann does, admirably and enviably. I’m from Athens, Georgia; that’s where I lived most of my life, and went to graduate school at the University at Georgia after I got rejected from all the big MFA programs. It gets complicated in between. First, I went to undergrad at the University of North Carolina, for English and Drama. I wrote and directed my first play at UNC and the playwrights Mac Rogers produced it; I went to school with many of the folks from his company, Gideon Productions. We did black box theater and produced our own work. I acted a lot and wrote and hung lights and house managed and did everything. Immediately after college, I moved to New York to work as Lloyd Richards’ assistant at the O’Neill Conference, which was an amazing job. It is! How did you come to get it? I had interned at Berkeley Rep the summer after my junior year, because my best friend’s dad lived there and let us stay with him for the summer. I earned money for food by telemarketing for Berkeley Rep, and worked for free in every department. When I graduated from college, the associate managing director at Berkeley recommended me to the managing director at the O’Neill who was looking for someone young and cheap to assist Lloyd–they had gone to Yale together, of course! So I went to New York and worked for a couple of years doing lowly theater administration jobs. I also spent a year as a literary intern at Center Stage in Baltimore, which was great because I got an insider’s view of regional not-for-profit theater, and a bird’s-eye view of new play development. And were you writing plays at this point? Was your mind on becoming a playwright? Not professionally. I didn’t quite know. I was working as an AA in theater trying to figure out my place, but I was writing, I just didn’t see how you could become a professional playwright. I had written plays in college and was always writing, but had a lot of doubt and fear about making a living as an artist in the theater. I thought I’d be a literary manager or administrator. At one time, I thought administration was the only thing possible economically. After some years, I did finally decide to pursue playwriting with more vigor, and so I applied to graduate schools. Grad school was a great time of development for me as a writer. The University of Georgia produced two of my plays on the mainstage, and I learned how to write plays through production. My father became very ill during this period, so I moved into my parent’s basement and also learned how to write every day no matter what was going on. I feel like that’s when I became a playwright. But I still didn’t know how to transition into writing professionally, so I applied to the PhD program at the University of Maryland to study theater history, and I was there five years before I dropped out. I’m ABD forever. This is getting complicated. Were you still writing during those five years? I was, a lot, and basically, by the time I was 30, I finally thought I could be a playwright. 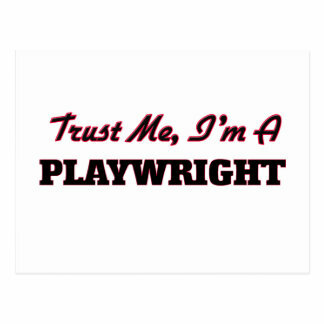 I had an agent and some productions lined up, and I was ready to commit to being a playwright. I wouldn’t write the dissertation; I’d pursue playwriting. Wait, wait, back up… how did you get productions and an agent while you were in Maryland working on your PhD? While I was in Maryland, I did a couple of fringe productions, including BEFORE THE FIRE at the New York Fringe Festival, which was a lot of fun, even though the play was kind of half-baked, and we were in a space without air conditioning in July. After that, I decided I wanted to produce a play at the Edinburgh Fringe Festival. I wrote this play for three of my friends from graduate school called CROOKED. We took it to the festival and it did pretty well, though not in any life-changing way. Then I submitted CROOKED to the Summer Play Festival, which used to be in Manhattan and was a big showcase for new writers produced by the Broadway producer Arielle Tepper. SPF produced eight to twelve plays with minimal production values over the month of July, and CROOKED was chosen to be part of that, along with some really great plays by writers like J.T. Rogers and Quiara Hudes. Remarkably, the artistic director of the Bush Theatre in London saw the play there, loved it, and brought me over for the premiere in London, which was crazy. So that’s when you got the agent? No. Somebody from Focus Features, the film company, got the script, and I had a couple of meetings with him. He called all the theater agents to meet with me, and I basically got to choose one, because I had the cred from this film company, even though they never hired me for anything . My first agent was at Creative Artists Agency, but I’ve been with William Morris Endeavor for the past six or seven years. All this, and still we’re not to Kansas! How did you end up there? My husband—we met in graduate school and got married while I was in Maryland–is a philosophy PhD, and he got a tenure track job out here in the middle of nowhere Kansas. When he got this job, I was able to pursue playwriting full-time and had the confidence to do so because I had this agent and production and so forth. I’ve been here a long time now, nine years. Once you decided to be a full-time playwright, did you consider going back to New York? Not really. Even though things were happening for me there, I still couldn’t afford to live there without a day job. I had done that in my twenties and didn’t really want to do it again. Before we moved to Kansas, we were pretty broke but also very set in our career choices. We were so poor and just thrilled that one of us would have a job with benefits in our field of choice. We could finally get a house, and go to the doctor without sacrificing our career goals. Did your career continue apace once you moved? It’s been a steady journey. Within the next three years, a few things happened, none of which changed my life dramatically but each grew my career a little bit. 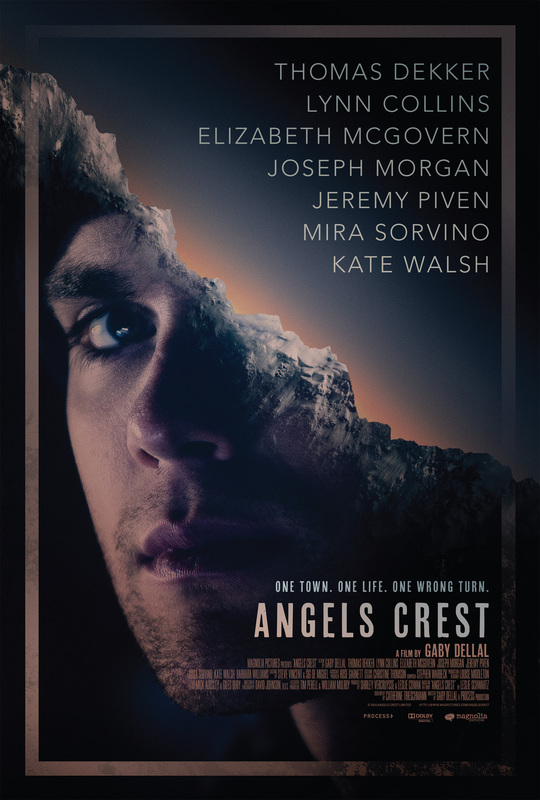 I was hired to adapt a novel, Angel’s Crest, into a film; it wasn’t a big paying job, but the film did get made. I remained the sole writer and got to be on set during the first week of production, which was great. Also, the Women’s Project produced CROOKED off-Broadway, and I got my first commission from South Coast Rep. This didn’t happened all at once. Like every six months, I would get a significant job. It didn’t feel like I moved to Kansas, and work stopped. I slowly just kept getting one job after another and that’s how it‘s been for the past nine years. There’s definitely a lot of luck in this career story that I’m telling you, but there’s also a lot of word of mouth in theater, and I do think I’m a good collaborator, so theaters have usually asked me back, or worked with me more than once. It seems like CROOKED really kicked off your career in a big way. That first jump is the hardest, and, for me, self-production was so important early on. If I hadn’t taken CROOKED to Edinburgh, I wouldn’t have written that play. CROOKED did really well in New York and London, and it’s not like I immediately got a bunch of work after that, but it firmly placed my foot in the door of professional theater. The Women’s Project’s former artistic director, Julie Crosby loved CROOKED and when she produced it, it did really well, so she was open to doing HOW THE WORLD BEGAN and THE MOST DESERVING. I don’t know why I had plays done in London and New York early in my career and the regional theaters later, but, because I’ve worked there, I don’t feel like those doors are closed to me more than any other doors. New York is still very much on my radar, and I certainly hope and expect to have plays in New York again, whether at a small theater or large. Do you ever feel like Kansas is not a good place to be a playwright? No. There’s no theater where I am, but I feel so lucky to have a peaceful, quiet life, and still get to travel great places and be a playwright. I really live in the middle of nowhere, halfway between Denver and Kansas City, five hours driving in either direction. The isolation, more than living in Kansas, in particular, has been the main issue in terms of being visible in the field. It’s just really hard to get out of Hays; it would be nice if I could get to a thriving metropolis more quickly. I often fly out of Wichita, which is three hours away. Before I had kids, I was really willing to go anywhere at the drop of a hat and now I am not so willing. If it’s going to cost me a thousand dollars to get somewhere, it’s hard to cough up that money every time. That’s what’s difficult. And also, clearly, I’m not working in film and television as I might have. But I’m okay with that. How do people in Hays react to you being a professional playwright? At this point, what is your marketing process? I’m sure I should do more. Why don’t I do more? Sometimes I feel like when I try to actively market myself, nothing ever comes out of it, and when I just sit back and relax and focus on the work, things go better. There are playwrights who are super good at marketing and promotion and part of me feels like I should be more like that, and then part of me feels like I should really focus more on the work and whatever happens happens. I don’t know what the ingredients are to a successful theater career, other than writing a lot and finding like-minded folks to work with. I feel a lot of gratitude for the career I do have and the opportunities I’ve been given, but also feel a lot of hunger because I want to achieve so much more artistically, and I feel both things simultaneously, all the time. Career-wise, I want reliable opportunities to do good work with collaborators of my choosing and consistently make $40,000/year. Artistically, I want to write plays that are a little bit strange, a little bit funny, surprisingly beautiful, and better than the last thing I wrote. Clearly, degreefinders has not read Todd London’s Outrageous Fortune: The Life and Times of the New American Play. Do you do anything else in addition to playwriting? I am teaching one playwriting class this semester, but that’s unusual. Every now and then, I pick up a course for the heck of it. It’s just adjunct money, so it doesn’t make much difference, but I really like working with students, and it’s nice to get out of the house–I work from home–once in a while. Do you make your living from playwriting? Let me just say if I became a single mother with two kids next week, I would certainly panic. My income yo-yos so much from year to year. Writers ought to ‘fess up to the extent to which their partners often support their work. So many of us theater artists with families have somebody in the relationship who has a more stable job. It would be incredibly hard to raise a family as a single writer not working in film/TV or academia. I have two kids, five and eight, and the youngest just started kindergarten. I’ve been writing in between preschool hours for most of the past eight years and doing all kinds of gymnastic tricks to find child care when I work out of town. Now they’re in school, so I try to write between eight and one each day. More than 12 and less than 20. I’m not someone who churns out three or four plays a year. Usually, I write a new play every year and do some intense revisions for production on another. Kind of slow and steady. I’m very meticulous and don’t send out plays until I get to about draft six. I’m very reluctant to pass early drafts around unless I have to. What do you do with early drafts? I usually send them to trusted readers. I went to school with Dan Kois who’s the culture editor at Slate, and he’s one of my first readers. It’s great to have a super smart critic you have a long history with who doesn’t also work in theater, because you get some really good feedback without having to worry about the career side of things. I also have some directors I show early work to: Shelley Butler and Daniella Topol. And then it might end up in some new work something or other; often, it’s a commission so I’m developing it with the theater for awhile. 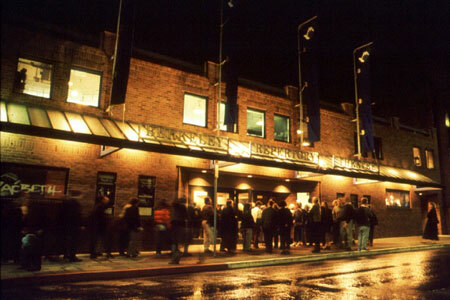 For example, HOLY LAUGHTER was a commission from Denver, and we workshopped an early draft at the New Play Summit; they chose not to go forward with it, but then I did a workshop production with a very cool theater in the Berkshires, WAM Theatre. After that, I sent it to my agent to send around. I also sent out a handful of personal emails to people I have existing relationships with. Have all your plays been produced? No, I have one or two that turned out to be real duds. How many productions do you get a year, on average? Maybe a dozen to 20. CROOKED gets done a lot by colleges now, and people who have just graduated college and stated a theater company. HOW THE WORLD BEGAN gets done mostly by small Equity houses. THE BRIDEGROOM OF BLOWING ROCK gets done by high schools. Each play is a little different. Do you get a lot or productions overseas? Some. Last year, there was a production of HOW THE WORLD BEGAN in Turkey. I have no idea how that happened. CROOKED was done in Sydney, but it’s sporadic and always has been. It’s unusual that I had a couple of plays produced in London early in my career. I don’t have a clear sense of when and why certain plays get picked up. With CROOKED, I was so determined that Humana do it, I just thought, “that’s the space for it,” particularly because it’s a Southern play, and I tried to will that into happening, and it ended up getting premiered in London. It’s very hard to identify what theater will pick up what play. It’s heavily suggested you research theaters and mission statements, but I have found that the places that pick my plays are never the places I think are going to. I think meeting people in person is important. If you’re traveling through Atlanta, and you know somebody who knows somebody in the literary department at the Alliance, work that connection and make an effort to sit down and have coffee, or better yet, bring them coffee! If somebody has coffee with you, they’re much more likely to read your play. But you have to be cool about it. You can’t pester people. Also, volunteering at your local LORT is a great way in. If you’re smart and articulate about theater, many literary managers will take you on as a script reader, and then you’ll start to have a relationship with that theater. Finally, and I know everybody says this, but it’s true: self-produce. Self-produce, find your people, get a couple of plays under your belt, and then start volunteering at the professional theater closest to you. It’s a long journey. Buy lots of ice cream along the way. Wow – living in Hays, Kansas, and got a big agent after she left New York? And that she always thought administrative work in theatre was her ticket in…? And love how she specifically states her financial goals – $40,000/year. Also was interested that she gets her some of her best critiques from a non-theatre person. Great interview, Donna (as usual)! Just discovered Catherine and her strange, funny, beautiful plays, this past year; which is a shame as theatre artists living in Kansas, we should all know each other. (Hays is really in nowhere Ks.) Love the interview. Love the playwright. Thank you. Thanks for a lively and thorough interview with Catherine, whose work I’ve admired for years. I enjoy your blog and look forward to reading other PLONY PROFILES. Thanks, too, for matching me for my first #TAPT exchange yesterday, as your schedule got busier than usual. Cheers and Happy Thanksgiving! I just say thank you to both you and all the playwrights for the PLONY series. I’m very new to playwrighting (more like a pipe dream right now), and I know little about the industry. But I’ve learned so much and so many ways to approach the industry from the series. Thanks, Sarah! Be sure to check out the RIPP series, as well. Tons of great information in those 52 entries–direct from literary managers and artistic directors.